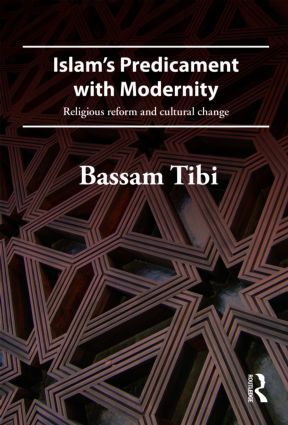 Looking at the issue of modernity from an Islamic point of view, the author examines the role of culture and religion in Muslim society under conditions of globalisation, and analyses issues such as law, knowledge and human rights. He engages a number of significant studies on political Islam and draws on detailed case studies, rejecting the approaches of both Orientalists and apologists and calling instead for a genuine Islamic pluralism that accepts the equality of others. Situating modernity as a Western product at the crux of his argument, he argues that a separation of religion and politics is required, which presents a challenge to the Islamic worldview. This critical analysis of value conflicts, tensions and change in the Islamic world will be of interest to scholars and advanced students of international relations, social theory, political science, religion, Islamic studies and Middle Eastern studies. Case studies I: the failed cultural transformation in Egypt. A model for the Islamic world?